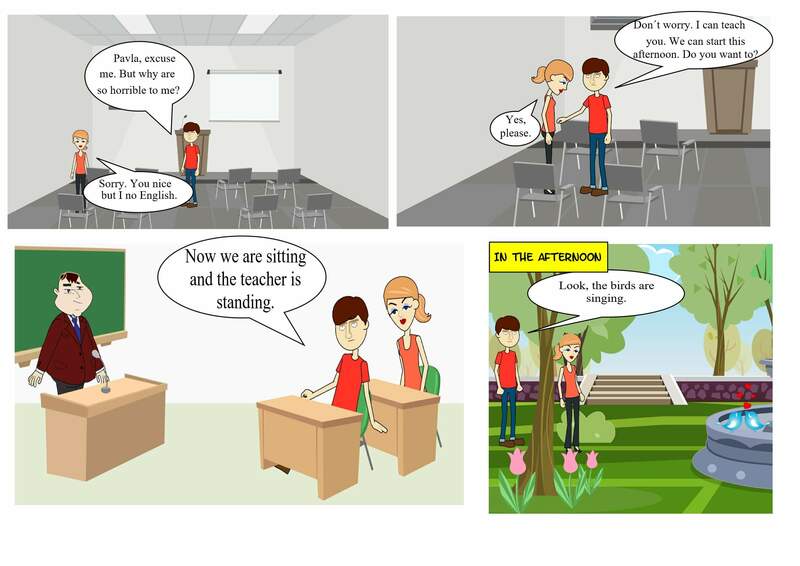 Sometimes it is very difficult for students to decide whether they should use the present simple or the present continuous tense. To help them decide correctly, I will share several activities with you. These activities make it clear which tense the students should use and how to form it. 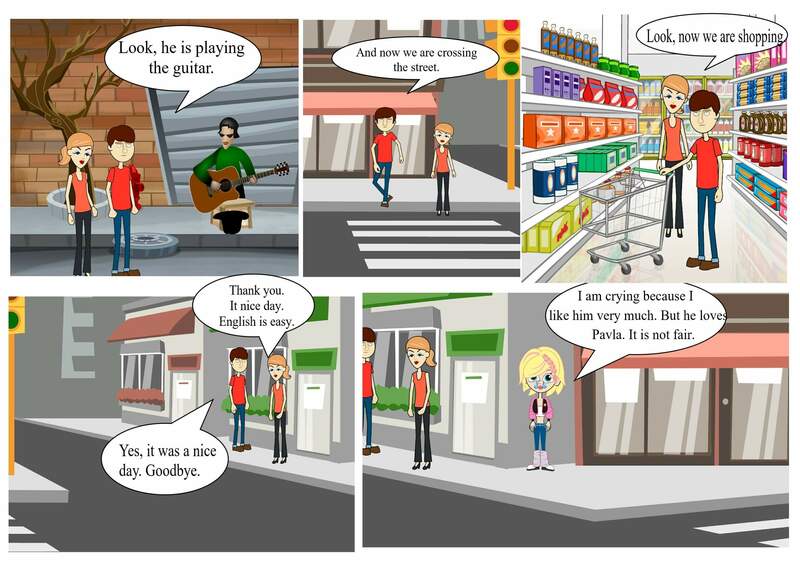 In this post there are two comic stories and an accompanying worksheet. Then there is an infographic focusing on the keywords which are often connected with the tenses. 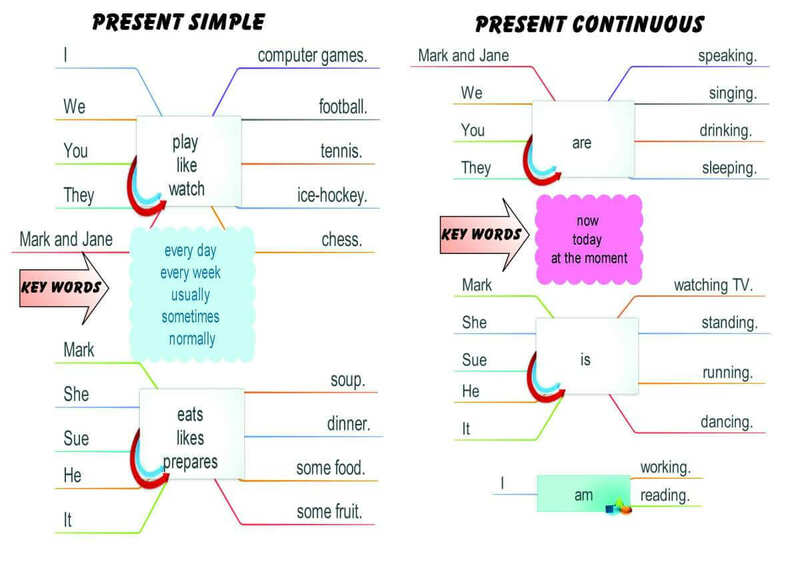 And the last activity is an interactive game to practise the usage of the two tenses. Now, print the following worksheet and your students should complete the first exercise. Check the answers and then ask the students to write sentences into the table in exercise 2. It is a good idea to elicit the first line before they start. In the exercise 3, students write about their normal day. As an additional activity, you can ask the students to use the comic story and retell the American´s day. Thus they can practise the third person singular. Now, it is time to hand out the second comic. Students should read the comic and answer the questions in exercise 4 in the worksheet above. Elicit the difference between the two tenses. For some students the comics make it clear because they can literally see the usage. Others might profit from the following infographic which focuses on the key words. Students work in pairs. They choose a square where they would like to enter their cross or nought. However, they can do so only if they form a correct sentence using all the words of the coordinates for the given square. If they make a mistake they cannot draw anything. If they are not sure, they can check the sentence in the key grid. The winner is the student who manages to draw four symbols next to each other. The following game is called Quiz Darts. Your task is to put the verb in the correct tense and if you answer correctly, you can throw the dart. Your task is to score as many points as possible.